The HP LaserJet 2200D is a great small workgroup or personal laser printer. This printer is targeted at users who don't need the accessories and won't be printing quite as heavily as the LaserJet 4000/4050 series user. 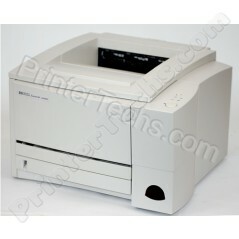 This model includes a 250-sheet paper tray, and a built-in duplexer for double-sided printing.